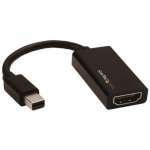 This unique Mini DisplayPort� to VGA adapter is equipped with a built-in audio port which lets you connect Mini DisplayPort equipped devices, such as a Microsoft Surface� Pro 3 tablet or MacBook Air laptop, to a VGA display or projector with audio. Because most boardrooms are set up differently, the length of cables available in each room vary. Not all laptops have the Mini DisplayPort (mDP) and audio ports positioned on the same side, which can become awkward when you�re trying to share your presentations. It can also mean that some ports may be just out of reach during a meeting. 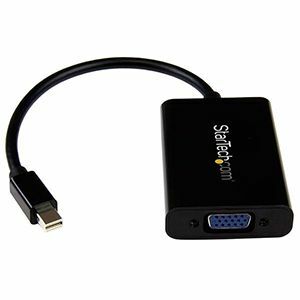 If the audio port on your mobile device is damaged or blocked by other connections, this convenient adapter guarantees that you�ll always have all of the ports you need for every presentation. 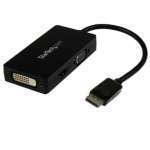 By connecting audio to your laptop through the adapter, you can be prepared for any situation.